The latest technology powering secure cryptocurrency transactions is now being applied to eLearning. By logging digital credentials on the secure, decentralized, public ledger known as the blockchain, fraudulent credentials and mistrust between learners and verifiers are no longer problems. Introduction: You’ve probably heard a lot recently about the blockchain, most likely with respect to how it powers digital cryptocurrencies like Bitcoin. 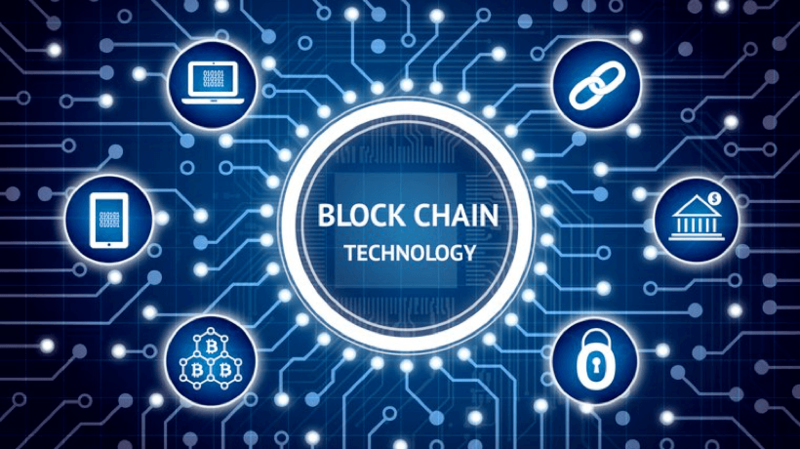 It’s true that this new powerful technology is mainly known for logging financial transactions, but the beauty of the blockchain is that it can applied to a growing number of industries in order to securely log verifiable transactions. Among them are the eLearning and continuing education industries. 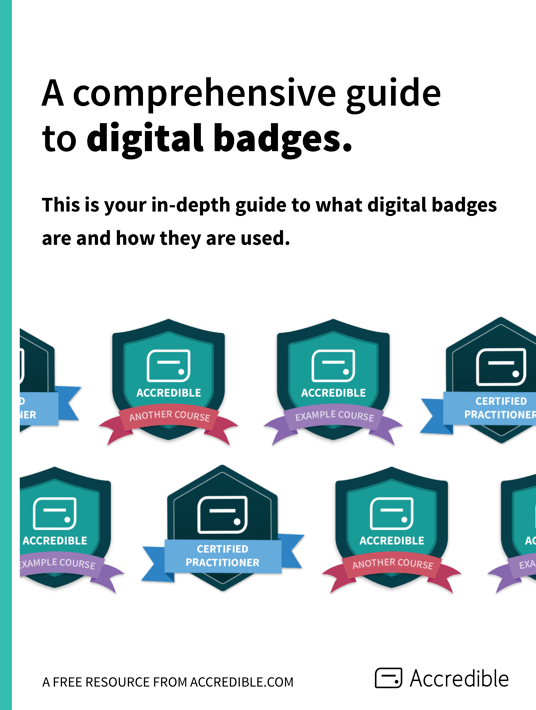 The most comprehensive guide on digital badges you could possibly imagine. First, What Is The Blockchain? 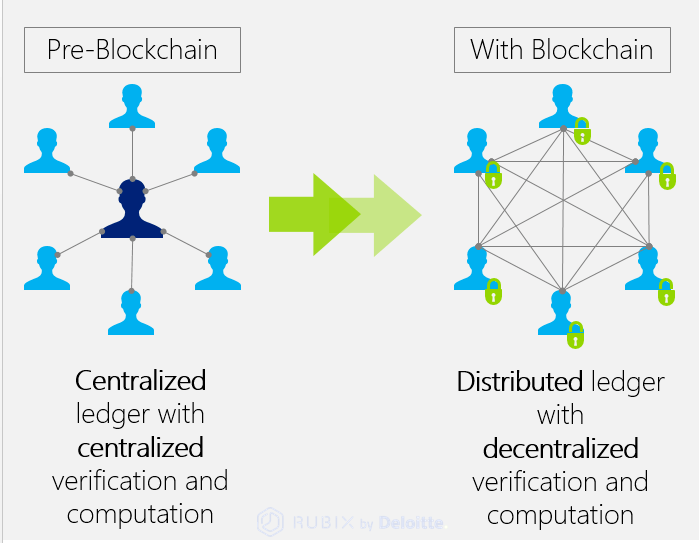 The blockchain is a digitized, decentralized, public ledger of transactions. It’s a network of computers that is able to securely log transactions of any type, prevent the tampering of those records, and enable individuals and organizations to verify the transactions that take place. It’s most well known for logging bitcoin and cryptocurrency transactions, but the blockchain can applied to just about any type of transaction or anything of value. This means it can record transactions between two parties in a way that’s efficient, verifiable, and permanent. Once a transaction is recorded on the blockchain, the data can’t be altered in any way without "agreement" from every computer on the network. How Is This Different From Other Digital Ledgers? This is a significant departure from the way most transactions are logged. Take the financial services industry. Most of the transactions that take place are logged in a centralized ledger that is controlled by a single organization, such as a bank. Being controlled by one organization. Being susceptible to data manipulation. Being vulnerable to hacking or nefarious attacks. Not to mention, a centralized ledger means we have to put immense trust in one organization to handle our data and hope that they’re telling the truth. These problems are solved with the blockchain because no one organization has the power to alter the ledger, and the transactions are publicly visible and verifiable on every computer in the network. Since there is no centralized point of vulnerability, computer hacking or exploits don’t pose a risk. In other words, you would need to hack every computer on the network in order to fake or alter a transaction. What Does This Mean For eLearning? 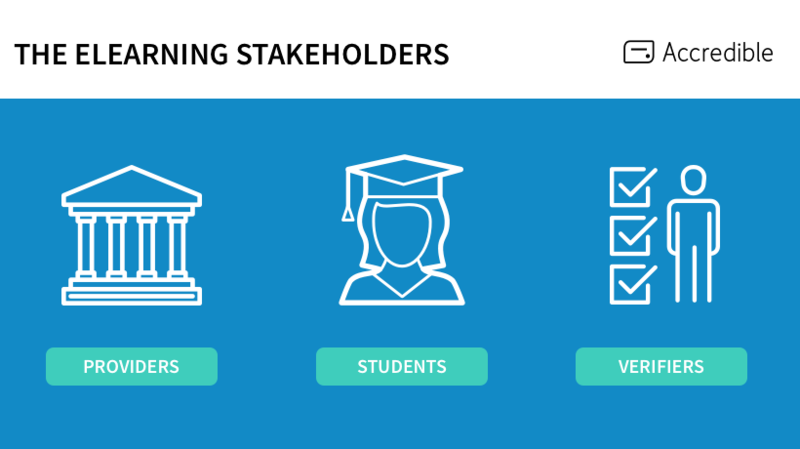 There are 3 stakeholders in eLearning - the organization doing the teaching, the individual(s) learning, and the person or group verifying the earned credential is valid. Organizations are responsible for creating curriculum and serving it to individuals who want to learn. This can be online or in-person, but in the end, if the individual successfully completes the course or class, he or she is typically ordered some kind of credential from the organization. Most often these come in the form of a paper certificate, a digital badge, or digital certificate. Individuals are the ones who completed the course and received the credential. The reasons for taking a course or program varies, but more often than not they are trying to show a current or potential future employer that they are continuing to grow and learn. This is why it’s so common for students to share their new credential within their personal and professional networks, such as Facebook, LinkedIn, and Twitter. Verifiers and employers are the groups who want see if individuals have the skills they say they have. Sometimes these verifiers are the individual’s current employer checking to see how an existing employee is progressing, and other times it’s making an important hiring decision. Often times employers hire third party firms to do recruiting and hiring. Regardless, the idea is that these third parties need to be able to securely verify what the credential represents, who issued it, who earned it, if it’s real, and if it’s currently valid. The biggest issue in this ecosystem? Trust. For it to work all parties must believe the other stakeholders are telling the truth. If we know anything, it’s that sometimes people lie about credentials. This is where credential verification becomes extremely important, and it’s also why credential security goes back so far. A long time ago credentials were principally issued as paper certificates that relied on intricate designs, wax stamps, foils, embossing, watermarks, and other design elements to prevent forgeries and other forms of fraud. However, with modern technology these methods have become painfully easy to fake. Not to mention, paper certificates are prone to misprints, have high shipping costs, and are easily damaged. Even more challenging: what if someone doesn’t know what the certificate is supposed to look like? How can they then verify its’ authenticity? What happens when a credential requires re­certification or if a credential is revoked or out of date? Convincing someone to tear up or ship back their physical paper certificate is not easy. Digital issuing of credentials offered some relief to these problems. Companies that help organizations issue their credentials online provided bank-­level encryption to URL based digital certificates and credentials. Now, in order to produce a fake, the perpetrator would need to hack into highly secure servers to manipulate data or issue fraudulent credentials. This method of issuing was an order of magnitude more secure than paper, and up until now, was the most secure way to issue and verify credentials. Though the above mentioned helps prevent fraud, that’s still not necessarily enough in a world where data breaches and hacking attempts are becoming more common every day. For digital credentialing companies, one of the greatest challenges is finding an "un­hackable" way to issue, store, and verify credentials. After all, a credential’s value is only as good as the reputation of the organization behind it. If a third party can’t trust the validity of the credential, then the organization (and the credential recipient) is in a difficult situation. Once a credential is recorded to the blockchain, it can’t be altered, faked, or spoofed. If someone attempts to create a fake credential that looks like an issued credential, it won’t verify against the existing blockchain record. Even if the company issuing the credential itself is hacked, the digital credential itself will remain unaffected and secure. What Does This Mean For Credentials? No more fake or fraudulent credentials. This means organizations can securely issue credentials to individuals, who can then allow third party verifiers like recruiting firms or companies check to make sure they are real and up to date. No one party has control, and the parties don’t even need to trust each other, only in the power of the blockchain. This is exactly what we at Accredible are doing now - logging credentials on the blockchain. If you want to learn more about issuing blockchain credentials, you can view a live example here. You can also setup a call to talk with one of our credential specialists to see if digital credentials are a good fit for your organization. Ready to get started? Sign up for a free trial. Digital Badges: What Are They And How Are They Used?